hold in store for your business? Advertising on social medias is without a doubt one of the main forms of paid, online advertising; businesses eagerly chose these Ads when considering implementing an advertising strategy. There are many reasons why companies chose these Ads. To name a few, they offer incredible results and allow us to reach our potential target audience in a different way. However, each social media is a little bit different, both in format and in the way in which people communicate. In this article, we will specifically dive into using Twitter Ads. Have you considered using Twitter as an advertising platform? What you’re about to read, then, should be of great interest to you! Advertising on Twitter, simply put, is promoting your company’s advertising content on Twitter – hence Twitter Ads. Even though all Twitter Ads are tagged with the phrase, “Promoted”, they look like every other non-sponsored tweet. The goal of launching a promotional campaign on Twitter is to increase the reach of your posts. At the same time, and thanks to social medias’ ability to segment audiences extremely well, you can focus on getting those users who comply with your target audience. Twitter Ads works similarly to advertising on Google AdWords. However, in lieu of establishing pay/cost per click (PPC/CPC respectively), a ‘cost per engagement’ (CPE) formula is implemented. This simply means that you only pay when users interact with an Ad; in other words, when a user clicks on it, expands it, RTs it, favorites it or responds to it. Twitter is a worldwide social network where any business could find their target audience. For this reason, there are different kinds of campaigns you should be aware of. At any rate, and before deciding on anything, we recommend you clearly identify and analyze your business goals. Then, you will be able to increase your ROI (return on investment) by the end of the campaign. Followers: if you wish to be seen more on Twitter and increase your number of followers, this is the type of campaign you’ll want to use. Clicks to your website/for making conversions: if you plan to use Twitter as a means to generate more visits to your website, or perhaps increase your number of conversions, this campaign is the one for you. Interactions: this campaign is Twitter’s biggest weapon if your plan is to increase brand awareness and make some noise online. Downloading/Use of Apps: if you have an App you want users to either know about or use more, this campaign is your best bet. Lead Generation Cards: these cards allow you to get leads on Twitter so that, later, you can create targeted promotional campaigns. Additionally, this type of campaign could suffice as a means to obtain users’ emails; they will not have leave the platform in order to give you their info. Video Playback: this campaign is ideal for launching video content on Twitter and also holds the most potential for going viral. Personalized: this is the most ‘frequent’ type of campaign Twitter Ads offers. It’s perfect for advanced users or for businesses that want to combine the better parts of various options. You’ve surely read about the advantages of social medias more than once in your lifetime. However, in this case, we want to specifically tell you about the advantages of Twitter Ads campaigns. Twitter’s characteristics include some “pros” which other social media platforms either don’t have as much success with or don’t have at all. Want to find out what they are? Immediacy: Twitter is the ‘microblogging’ social network and is primarily characterized by its shortness. On Twitter, the “here and now” is what’s important. In this sense, the obtained results (assuming everything is well-planned) come quickly. Effective Business Goals: thanks to the different types of campaigns offered by Twitter Ads, (in addition to its massive network of users), it’s quite easy to put together attainable business goals with the help of Twitter Ads. As an added bonus, you can also measure the progress/statistics of your ads. Multi-display and mobile version: Twitter allows for a perfect viewing experience regardless of the screen size/type; it's also perfectly optimized for cell phones. This is extremely relevant today and it will be even more so in the future since, every day, there are more and more people using their phones instead of their computers. 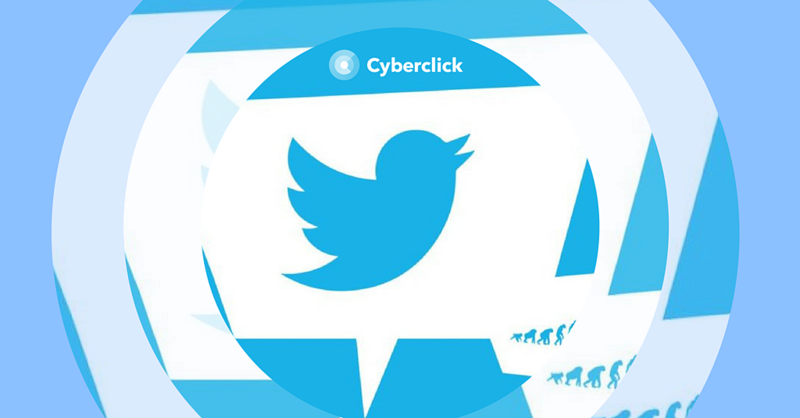 Better CTR: various studies have concluded that Twitter Ads have a better CTR maintained over time. Compared to the rest of the social media networks, Twitter Ads seem to be more effective in this field. This could be due to the fact that there are less companies taking advantage of Twitter than there are with other social networks (which are already quite saturated). In general, your ROI allows you to measure the efficiency of any given advertising investment and Twitter Ads is no exception; advertisers want to get the best results too! In this sense, there are many recommended practices for implementing your Twitter Ads strategy. Now, let’s go over some of the elements we think you should keep in mind. 1. The ‘now’ of social media. What’s important with Twitter is the here and now. If you take advantage of this immediacy and include, for example, mentions of current happenings on your feed, offers that ‘only last for a few more hours’ or breaking news, the ROI of your Twitter Ads will increase. 2. Power in numbers. Although "twenty" and "20" are exactly the same thing, visually speaking, the number itself has more power (even more so if you’re referencing a discount or a percentage of a discount). The recommendation is to always use this option; consequently, it also means using less characters than writing out the full word. Needless to say, carefully choosing each character on Twitter is of the upmost importance. 3. Newness makes magic on Twitter. If something is new, there’s a much bigger chance of it doing extremely well if you're using Twitter Ads. Therefore, make sure to keep your audience in the loop when you talk about something new and exciting! 4. Chance triumphs in micro-blogging. Practically everyone likes to try their luck to win the lottery/raffles; furthermore, on Twitter, these types of publications are also well received. So, if your business goals fit this type of campaign, don’t hesitate to it to better your ROI! 5. Questions and/or polls: another helpful Twitter tool is in relation to interaction and generating engagement. Any type of general question/poll which requires a response on the user’s part can help to achieve both your business’s objective(s) and to increase your overall brand awareness. 6. A picture is worth more than a thousand words with Twitter Cards: Twitter allows you to integrate more formats than just text with the help Twitter Cards. With Twitter Cards, you can include any kind of necessary information in order to improve engagement or increase the ROI of your Ad. Tweets that have extended formats get 52% more RTs and 313% more interaction. Everything we have gone over in regards to Twitter Ads is just the start of a grand adventure which takes you down a path of increased brand awareness and fulfillment of business goals. Social media isn't the future, it's the now. Make sure to take advantage of it's almighty power! How can we help you with your Twitter Ads?